First things First: I am looking for HELP with this WEBSITE! If you are interested, I will elaborate below the freebie : ) Thanks! It is almost Thanksgiving and I was inspired to create this elegant filigree-inspired pumpkin to decorate my table. This would be a bear to weed, but for the brave: I’d love to see what you use it for : ) Unless I was using it with HTV, I can’t imagine weeding it! For me, it’ll be print and cut all the way. I plan to print it onto a little ‘doily’ type shape and add it to the center of a paper medallion. I’ll Instagram photos if I get around to it before the holiday (I’m a designing mom, we got a lot to do!). 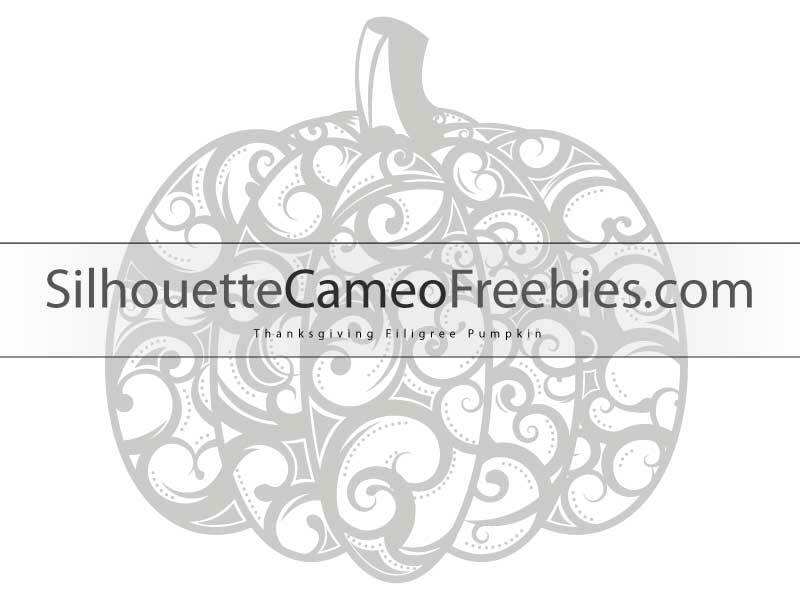 Want to help Silhouette Cameo Freebies out? Please get in touch with me through our Facebook Page or leave a comment on this post telling me what you’re interested in helping with. I’m looking for help in many different areas, including bloggers, designers, product testers and product finders. Bloggers/Product Testers: I am looking for crafters to blog here at SilhouetteCameoFreebies.com. You would have your own user account and you would test out freebies that I have to share and freebies you or I find from other sites. You would take lots of pictures, write up necessary instructions or additional instructions you find helpful, and relate your experience trying out the projects. This is not intended to be burdensome! It’s not a full time job by any means, just a fun side project. You don’t have to have a blog of your own already but you do need to spell fairly well and write clearly. It’s helpful if you have a good camera or know how to use the one you have well (cell phone cameras work fine with lots of light!). You would have a full profile on this page where you can ‘advertise’ your other projects. Designers: If you would like to contribute designs to SilhouetteCameoFreebies.com we would love to see them! Your own copyright notice will remain intact. Designs will need to be downloadable through this site (I’ll handle that!) but links to your site/facebook/etsy etc will be included and your files will remain unchanged. I’d love to try new things, keeps me learning and being a better crafter.